North Academy of Performing Arts. 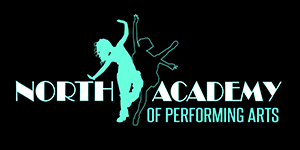 Welcome to North Academy of Performing Arts! Established in 2016, we strive to give pupils a good foundation in all aspects of dance and drama in order to prepare them for professional careers or just for fun! In a friendly, caring environment, we teach the IDTA syllabus to Diploma level catering for all ages. Based in Rawmarsh, Rotherham, South Yorkshire. Musical Theatre. Adult Ballet. Adult Tap. Burlesque. Home to the well-known North’n Belles Burlesque Showgirls. We offer other adult classes ranging from beginners burlesque (Baby belles) through Tap and ballet, to fitness classes, making getting fit fun.